As the President and CEO of Focus on the Family in Colorado Springs, one would naturally assume that Jim Daly would know a little something about successful parenting because it’s, quite literally, part of his job. But rather than simply serve up a list of all-too-obvious tips and a few cutesy stories that underscore his mission, Daly opts for a personal approach in his new book, The Good Dad: Becoming the Father You Were Meant to Be. Naturally, this isn’t the easiest of tasks, and Daly isn’t afraid to candidly acknowledge the struggle. A word he uses again and again is “sacrifice.” Emphasizing that it’s not that pursuit of perfection that counts, but the intentional effort that is invested, Daly hones in four different styles of parents, the permissive, the authoritative, the authoritarian and even the uninvolved, and offers his thoughts on why three of those simply won’t get the job done. Written in a warm, conversational manner that instantly puts the reader at ease, The Good Dad rarely preaches and never resorts to simplistic answers that are glaringly out of touch. Instead, Daly uses personal experiences, a mindset of grace rather than judgment and the power of honest storytelling to illustrate the importance of spiritually centered, hands-on parenting. Drawing from his own challenging childhood (Daly’s biological father struggled with alcoholism and even threatened to kill his mother, while his stepfather, an unloving man, deserted him during his mother’s funeral of all things), Daly’s words have the authority of someone who’s been there. Clearly passionate about building strong families, his personal story of life with two sons himself, not to mention what he’s learned and experienced about God as our father, is what make The Good Dad such an invaluable resource. 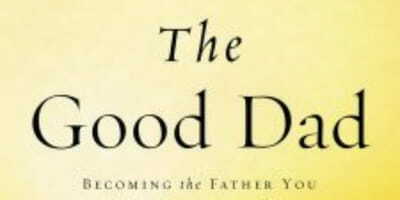 With compelling food for thought at the end of each chapter, The Good Dad also serves a springboard for future discussion as dads (and moms, too) navigate the often messy, complicated road of rearing healthy, happy children who never question just how much they’re loved.